I just love these little pincushion/scrap bags and have made three of them now. My dear friend Jo has been admiring mine for a while so I knew she would love one for her birthday.....she was thrilled! A cute little Pillowcase dress that Miss 12 made for her new little cousin... I just loved the fabrics she chose! Fabulous! 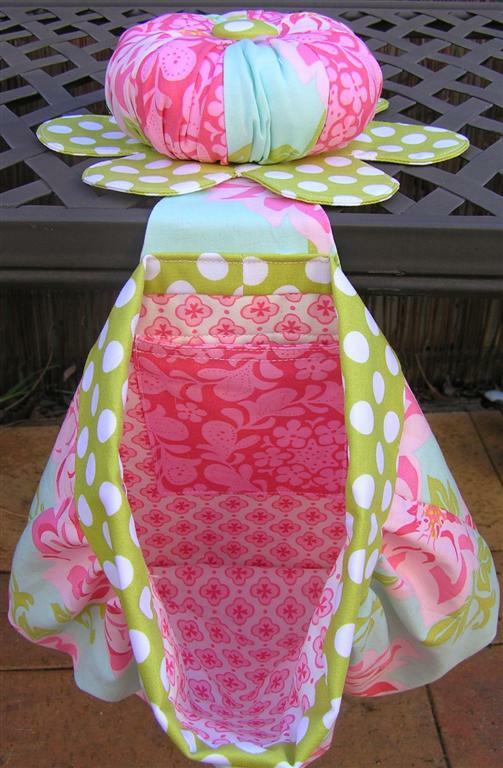 Pin cushions and thread bin combos are such a great idea! Pincushion, Thread catcher and the wee dress. Well done...looks great. You'd be a pro at making these bags now. Good to see you've had some sewing time this week. That is over the top in cuteness! Adore the fabric you chose. You have inspired me to get going and make one!